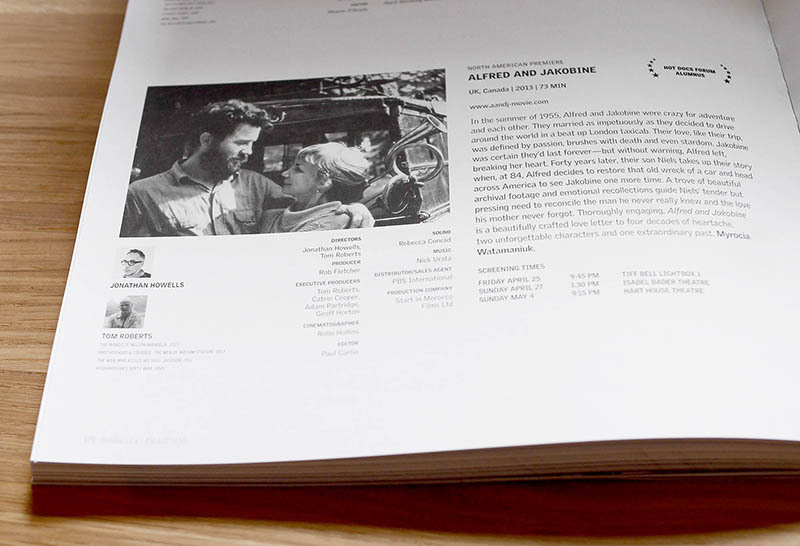 Hi again from the Alfred & Jakobine team. We've just returned from 10 days in Toronto, at the wonderful Hot Docs Canadian International Documentary Festival, where the film had 3 screenings. Each screening had an enthusiastic audience Q&A afterwards and much to everyone's delight, Niels Hobbs (Alfred and Jakobine's son) was in attendance for the first two. The film had an overwhelmingly positive response from both Hot Docs programmers and audiences alike, and needless to say, we're thrilled. For director, Jonathan Howells, bringing the film "home" to Toronto, where he is originally from, was a proud moment. 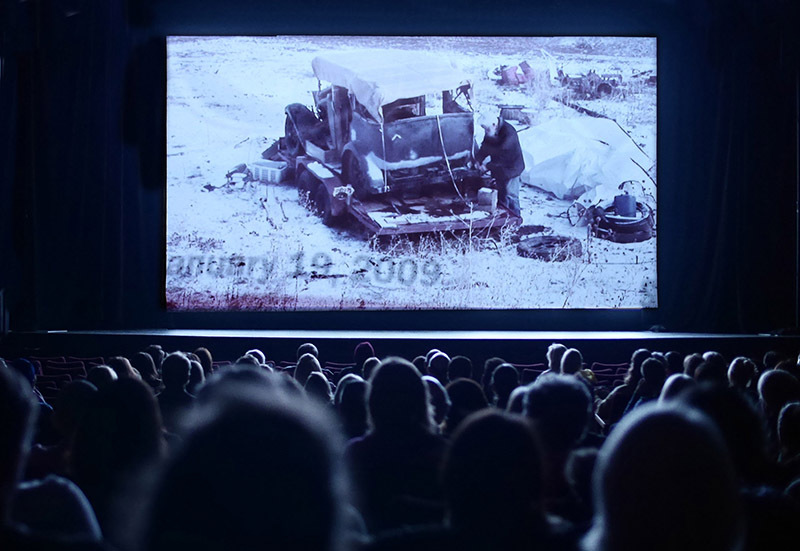 And having first pitched this film at the Hot Docs Forum a few years back, it was a real pleasure bringing the finished film back to Hot Docs. 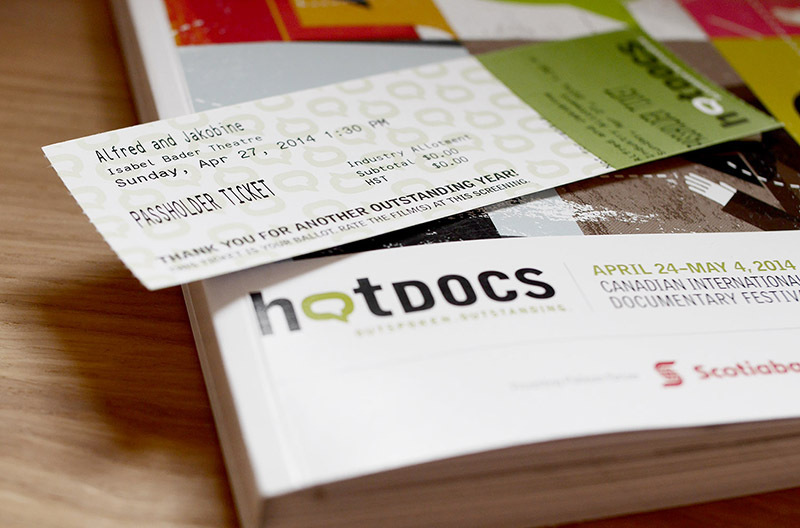 A big thanks goes out to the programmers at Hot Docs who selected our film for the 2014 festival. So we've now had our European and North American premieres (in Canada) but have yet to premiere the film in the US. We plan on screenings in both Providence, Rhode Island where Niels lives, and also in Taos, New Mexico, where Alfred lived. We know all of his friends in Taos are eagerly awaiting the premiere there, and we promise it's coming soon. We just received exciting news about our UK premiere, but can't yet announce which festival - stay tuned for an update on that very soon. PS We unveiled our brand new poster design for Hot Docs 2014 (see below)! 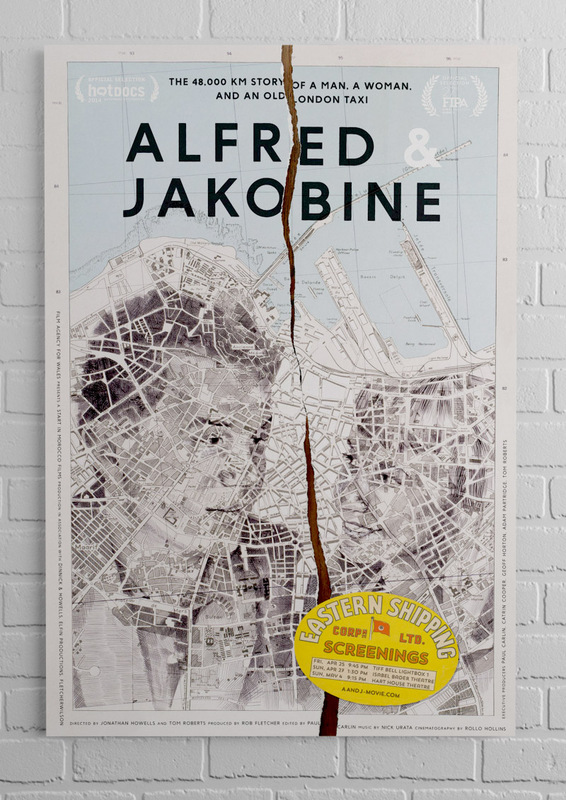 It features an illustration of Alfred and Jakobine, which we commissioned from the talented artist Ed Fairburn. The illustration is integrated into the roadways and lanes within a real, antique map of Casablanca, which is where Alfred & Jakobine first found their old London taxi. The "screenings" label is based on an actual "Bombay" shipping label that belonged to A&J, adapted for the poster to feature the dates of the film's screenings. Let us know what you think. You can purchase a poster from our PRODUCTS page.